John Fitzgerald “Jack” Kennedy was born 29 May 1917 in Brookline, Massachusetts, near Boston, a year after the Easter Rising and a month after the U.S. entered World War I. In 1960, Kennedy was elected president of the United States. He was not the first Irish American to win the nation’s highest office, but he was the first Catholic. Three years later, JFK made a triumphant return to Ireland, land of his ancestors. Five months after, he was assassinated in the U.S. The end of May brings the official opening of numerous centennial celebrations marking the 100th anniversary of JFK’s birth. 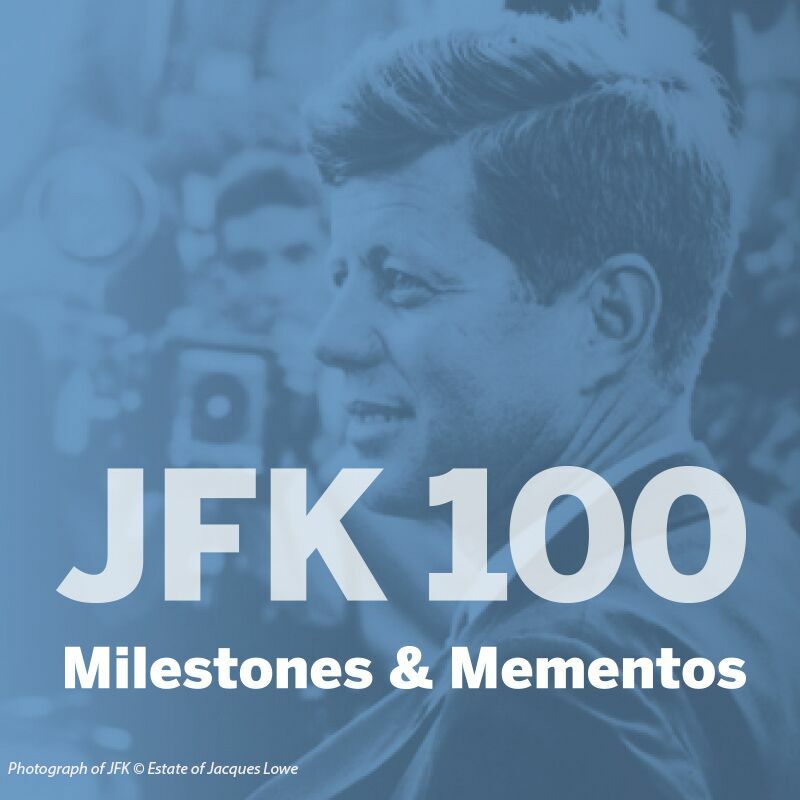 The John F. Kennedy Presidential Library in Boston, and the National Archives and Records Administration in Washington, D.C., have partnered for a series of events and initiatives, including the “JFK 100: Milestones & Mementos” exhibition. Between Duganstown and Dallas: Some witnessed JFK’s Irish homecoming but died before the tragedy of his assassination. Remembering JFK 1: St. Stephen Martyr Catholic Church. JFK’s triumphant return to County Wexford, Ireland, land of his ancestors. This entry was posted in History, Irish America, Politics, Religion and tagged Catholic, County Wexford, John F. Kennedy on May 26, 2017 by admin. 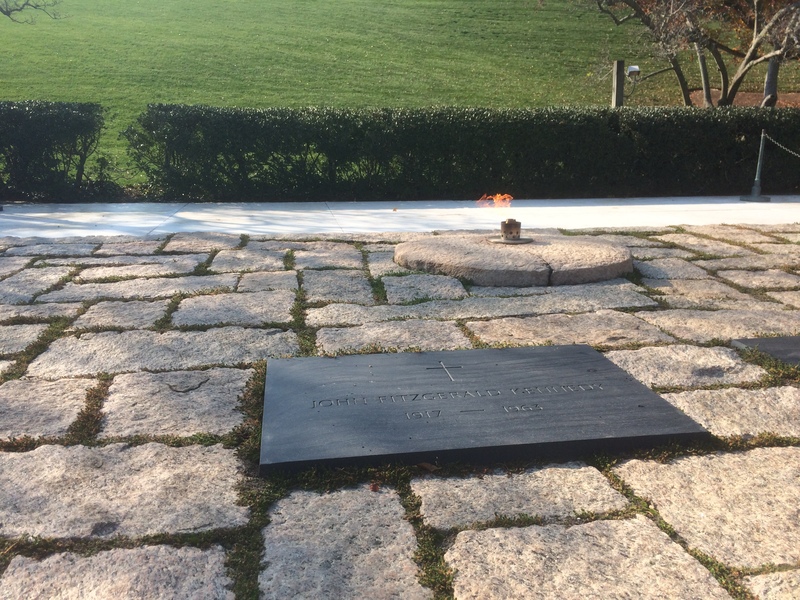 Shortly after being assassinated on 22 November 1963, President John F. Kennedy was buried at Arlington National Cemetery with an eternal flame. A group of 26 Irish Defense Forces cadets, who traveled to America with Irish President Éamon de Valera, performed a silent drill at the grave site, part of a tribute to Kennedy’s Irish ancestry. 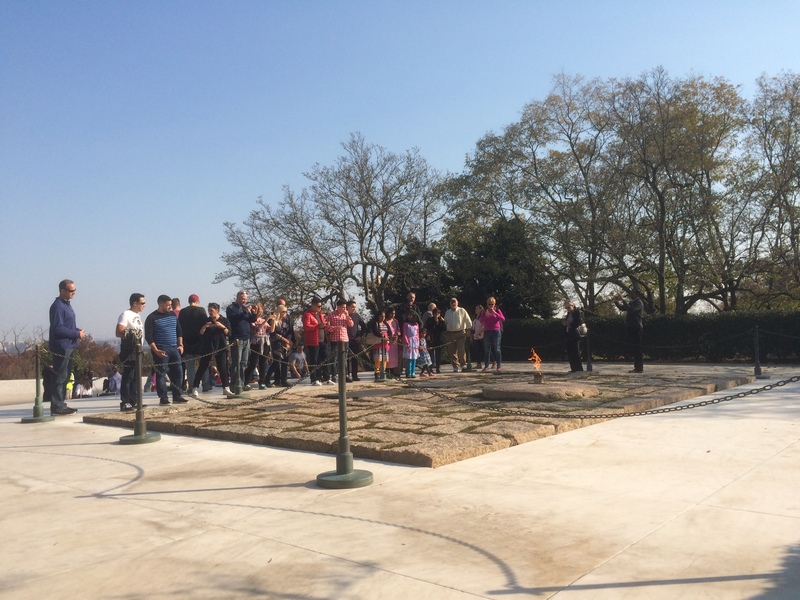 Three years later, in March 1967, Kennedy’s body was re-interred a few feet away with a new flame at the spot now visited by millions of tourists. 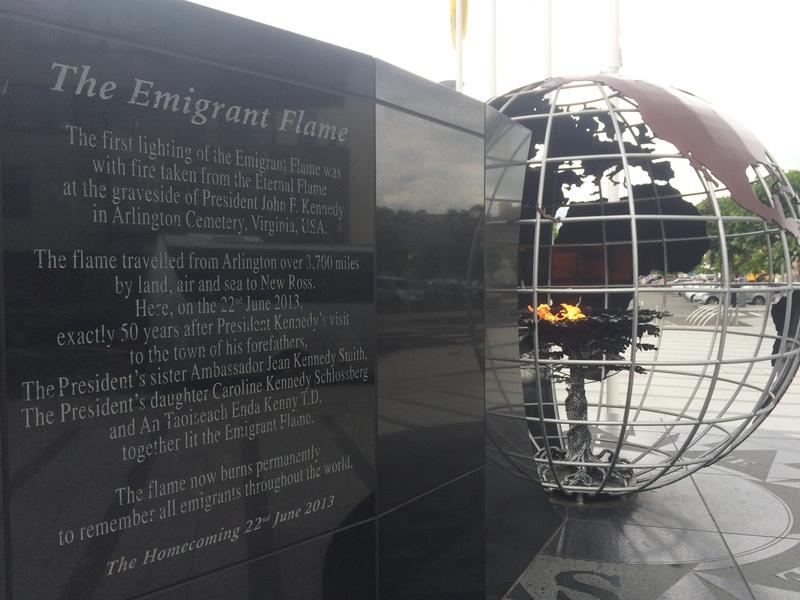 In June 2013, during celebrations of JFK’s visit to Ireland 50 years earlier, a light from the Arlington flame was carried across the Atlantic and incorporated into the Emigrant Flame memorial a the New Ross quayside, County Wexford. I was touched to visit both JFK’s grave and the Irish memorial this year. This entry was posted in History, Irish America, Politics and tagged County Wexford, John F. Kennedy, New Ross on November 19, 2016 by admin. The town of New Ross, County Wexford, is celebrating its fifth 4th of July Irish America Fest with a reading of the Declaration of Independence, raising of U.S. and Irish flags and a re-enactment of the Boston Tea Party. The festival also includes live music bands, plenty of food vendors and a giant fireworks display over the River Barrow. So, given the American holiday and Ireland’s ongoing centennial commemoration of the 1916 Easter Rising, I’m reprising here one of the posts from my earlier blog series on U.S.-Irish relations. Enjoy. We know that America played a key role in Ireland’s strike for independence in 1916. How about Ireland’s contribution to American independence in 1776? On St. Patrick’s Day 1976, President Gerald Ford expressed “the appreciation of the American people to the people of Ireland” for their participation in the founding and growth of the United States. He voiced these to Taoiseach Liam M. Cosgrave in morning welcoming remarks and an evening state dinner toast. Throughout our history–beginning with the many Irish-Americans who fought for freedom in 1776 and the 11 who signed the Declaration of Independence–men and women from your country have brought Irish courage, Irish energy, Irish strength, Irish devotion, and Irish genius to the United States of America. I’m not sure what 11 signers Ford had in mind. Most other sources put the figure at nine men, with four born in Ireland. We are indeed greatly honored to have been invited here during your Bicentennial Year, a year which highlights the remarkable achievements of this truly great Nation. We are proud that throughout American history the Irish people have been closely identified with your endeavors. He noted that in 1928, his father, W. T. Cosgrave, then head of the Irish government, visited the U.S. accompanied by his Minister for Defense Desmond Fitzgerald. His son, Foreign Minister Dr. Garrett Fitzgerald, joined the 1976 delegation to Washington. 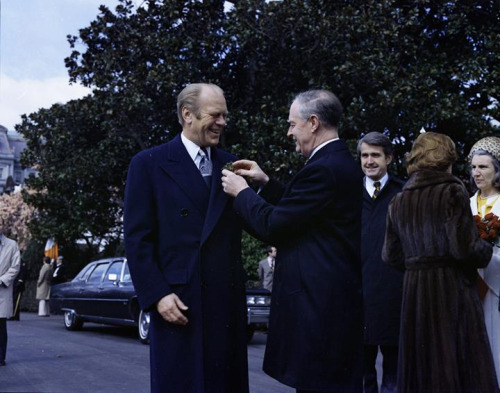 Liam Cosgrave pins a shamrock to the lapel of Gerald Ford. The notes suggest that Ford promised to do more “after the election is out of the way.” He lost to Jimmy Carter eight months later. This entry was posted in Arts & Culture, History, Irish America, Northern Ireland, Politics and tagged County Wexford, Gerald Ford, Liam M. Cosgrave, New Ross on July 2, 2016 by admin. 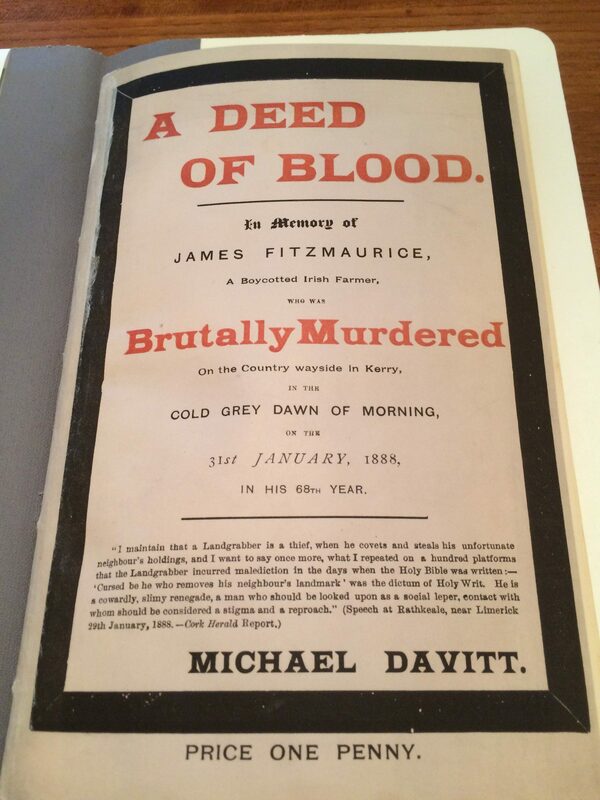 I received your return of “Deed of Blood” and thank you for your good will in sending us the missing pages (cut out). Why anyone would ruin material is always beyond my understanding. The Notre Dame Libraries appreciate your thoughtfulness in sending the information to complete this title. We will have it prepared and bound together. Cover of the 1888 pamphlet. 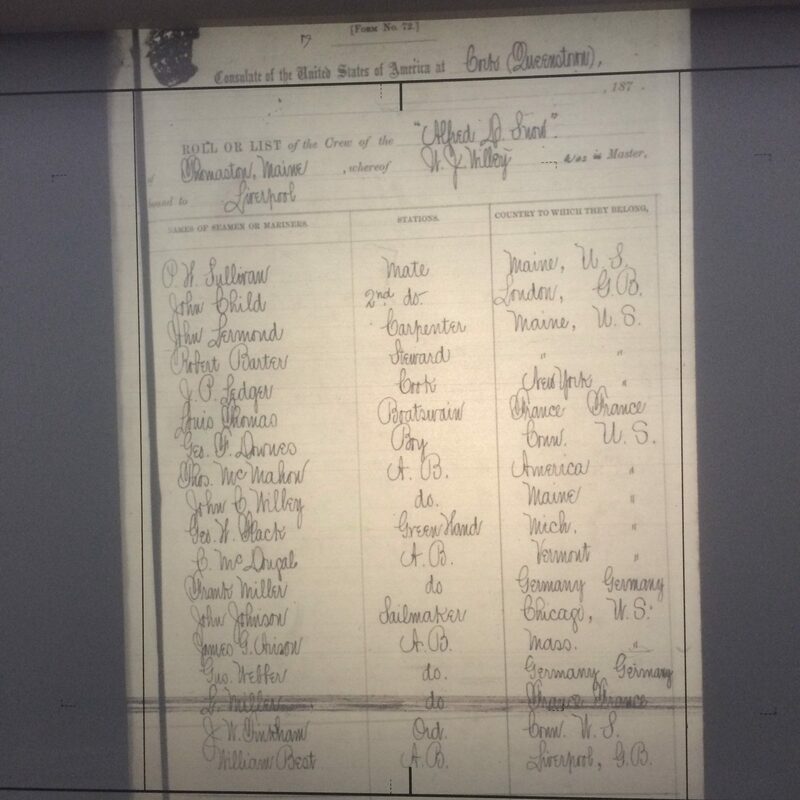 “The receiver of wrecks in Wexford at the time was William Coghlan and the Lloyds agent was Jasper Welsh. The two were very intelligent in collecting information because they visited every shipwreck around the Wexford coast [in those] days. They would have supplied the report to the local People newspaper. 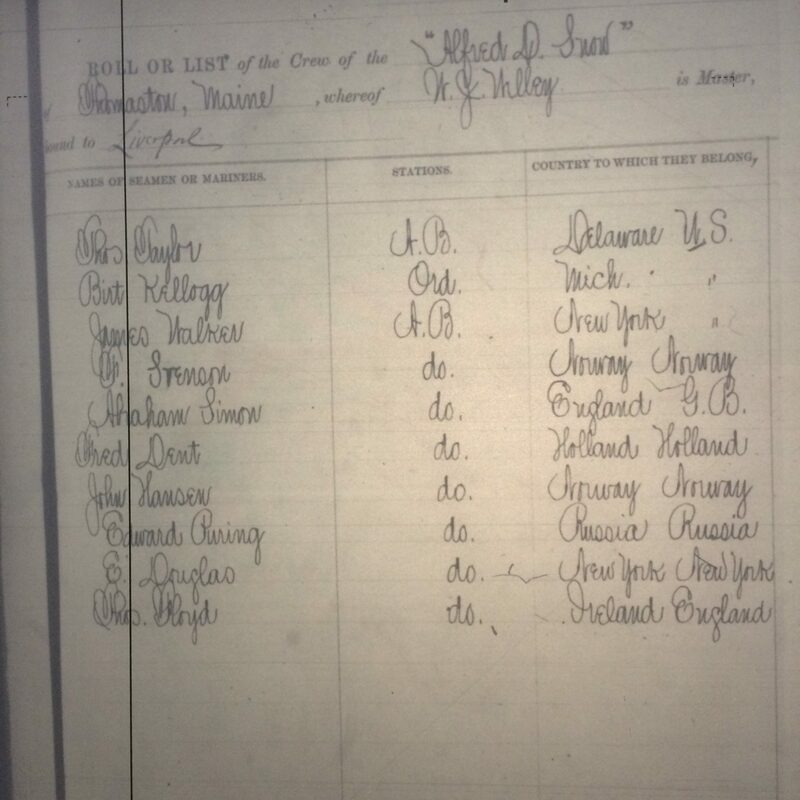 Crew list from ‘Alfred D. Snow’ at U.S. consulate office in Cork, 1888. The Irishman is the last name on the bottom image. …we shall undertake the responsibility to keep our rivers, lakes and coastline unpolluted. … We wish to promote and preserve the Irish language throughout all the counties of Ireland. We treasure our history and culture, our myths and legends, our poets and musicians, our Irish dancing and Gaelic games. 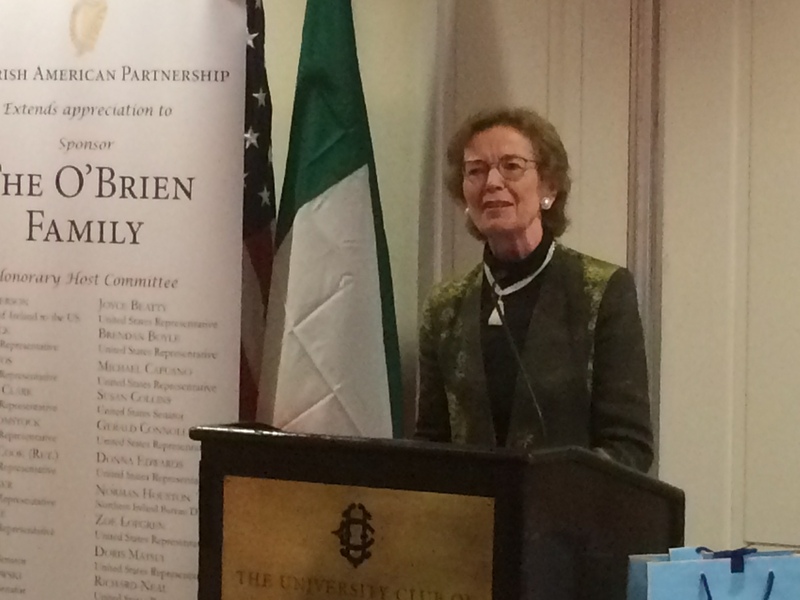 Former Irish President Mary Robinson gave the keynote speech at the fourth annual Nollaig na mBan hosted by the Irish American Partnership. The event raised $12,000 for her presidential library. This entry was posted in Arts & Culture, History, Irish America and tagged agrarian outrage, Alfred D. Snow, County Kerry, County Wexford, Irish American Partnership, Mary Robinson, University of Notre Dame on June 11, 2016 by admin. Daniel Donoghue and Father William O’Keeffe witnessed the triumph of Duganstown; but they each died before the tragedy of Dallas. The 99th anniversary of the birth of John Fitzgerald Kennedy (29 May 2016) begins a countdown to next year’s centennial celebration. 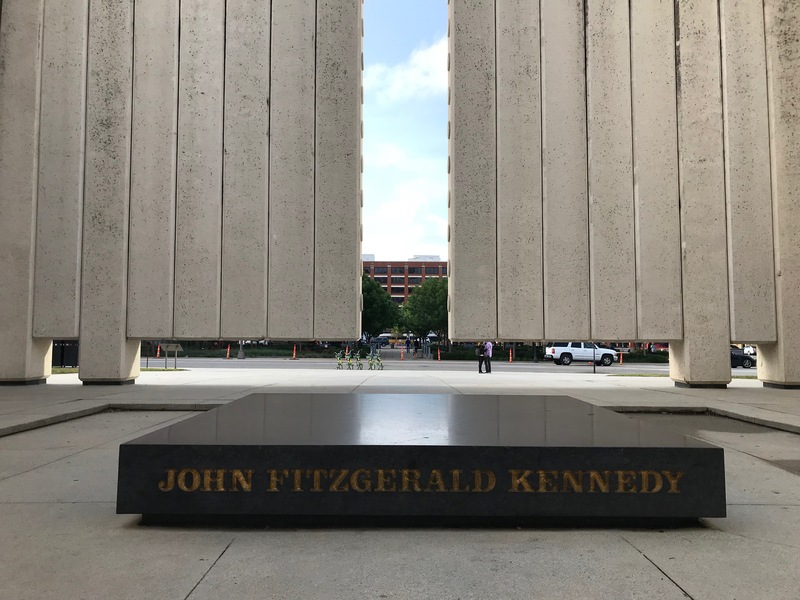 Fishamble, an Irish theater company, recently debuted six “tiny plays” inspired by Kennedy’s life at the Washington, D.C. performing arts center named in his honor, part of a year-long series of tributes. More remembrances will surely be scheduled in other places, including Boston and in Ireland. Born in Brookline, Massachusetts, the 35th president of the United States was the youngest man (43) and first Irish Catholic elected to the nation’s highest office. 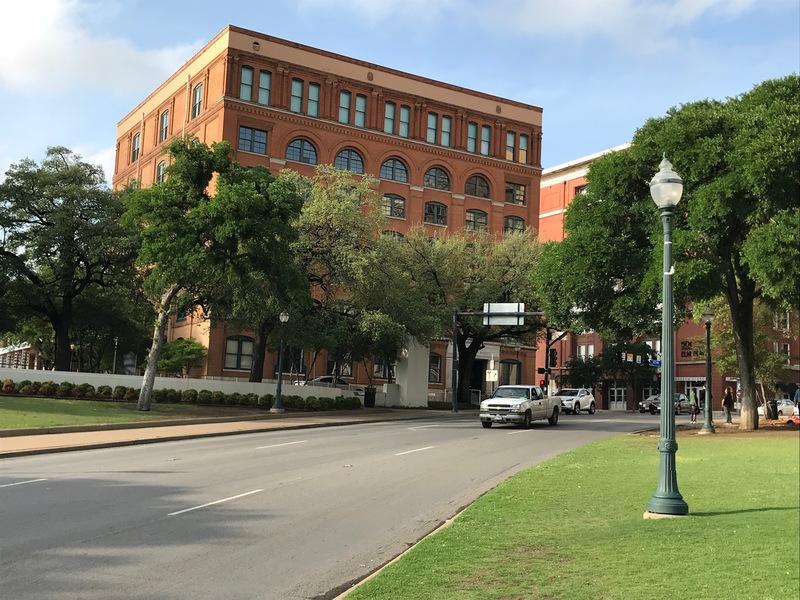 There are many aspects of Kennedy’s life worth exploring, but I’ve become interested in his last five months, the period from his triumphant “homecoming” to Ireland, 26-29 June 1963, the first visit by a U.S. president while in office, to his assassination in Dallas on 22 November 1963. 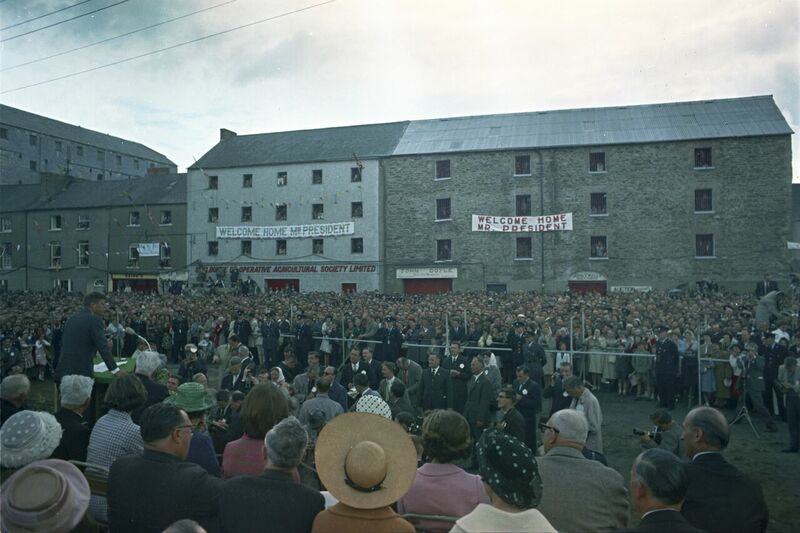 President John F. Kennedy, left, speaks at welcoming ceremony in Duganstown, New Ross, Ireland. Image from JFK Presidential Library & Museum. I was intrigued by the interval between Kennedy’s visit and his death, so I went looking for Irish and Irish Americans who died between 30 June 1963 (after his trip) and 21 November 1963 (before his assassination.) It is a somewhat arbitrary way of selecting a cohort. Yet the magnitude of the two events, I believe, makes for interesting parameters to explore Kennedy, the Irish and Irish America. They are not “Kennedy’s Children,” but rather his big brothers and sisters, his cousins and colleagues. The first two people I found were Daniel Donoghue and Fr. William O’Keeffe. Donoghue, a retired Metropolitan (Washington) Police lieutenant, was typical of the people Kennedy was referring to in his greeting to Lemass, though he had recently departed from their ranks, dead of a heart attack at 65 on 18 September 1963. The County Kerry native immigrated to America in 1915, when he was 17, according to an obituary in The Washington Post. He served on the police force until 1953, then moved to the Maryland suburbs, where he remained active in the Retired Metropolitan Police Association. In the 1920s, Donoghue was a charter member of St. Gabriel’s Catholic Church in D.C.’s Petworth neighborhood. He belonged to the Holy Name Society. Donoghue was a likely Kennedy voter in 1960 and certainly had paid close attention to the president’s visit to Ireland. It is unclear whether the former cop ever got himself back to Ireland. He left a year before the Rising, but was old enough to have followed Ireland’s struggle for independence, bloody civil war and partition as he established his life in America. He also would have lived through the humiliating defeat of Al Smith, the first Irish-Catholic presidential candidate, in 1928. To me, Donoghue is part of a “greatest generation” of Irish and Irish Americans who lived through the country’s revolutionary period and transformation from Irish Free State to Republic of Ireland. In America, their adult lives spanned from Smith’s defeat to Kennedy’s election and trip to Ireland. They died before the tragedy in Dallas and outbreak of The Troubles. As Irish Catholics, this generation witnessed the peak ascendance of their church and its schools, hospitals and other institutions in America and their own acceptance as adherents of the faith by nearly all aspects of U.S. society. They died before the changes of Vatican II, the decline of European ethnic-religious identity and the revelations of church scandals on both sides of the Atlantic. Father O’Keeffe was another member of this cohort. Spiritual director at Clonliffe College in Dublin, he died 27 August 1963, at age 56, during an extended visit to America. He was born in 1907 at Kanturk, County Cork, and ordained in 1932 from Maynooth College, a member of the Vincentian Fathers. He was a language expert who taught in Belgium and Italy, as well as in Ireland. His skills brought the attention of the British Government during World War II, according to his obituary in the Post. Fr. O’Keeffe “was visiting childhood friends” in Glen Cove, New York, on Long Island, when he was struck down by a cerebral hemorrhage, the obit said. Surely they had talked about Kennedy’s visit to Ireland earlier that summer, and may have heard about plans for Lemass’ trip to America. I intend to pursue more such stories over the coming year and would welcome the input of my readers. The lives of people with direct connections to JFK would make for even better stories, but that’s not a requirement. Let me hear from you. This entry was posted in Arts & Culture, History, Irish America, Politics, Religion and tagged County Kerry, County Wexford, John F. Kennedy on May 29, 2016 by admin.